It's been 20 years since California punched through pot prohibition and became the first state to legalize marijuana for medicinal purposes. Now, 25 states have medical marijuana laws, and more than a dozen more have taken the half-step of legalizing the medicinal use of cannabidiol (CBD) only -- not raw marijuana. Coming soon to Arkansas, Florida, Montana, and North Dakota? While some of the early medical marijuana states have now moved on to full legalization -- and more are set to this year -- states in the South and the Plains are just beginning to embrace the therapeutic use of the herb. This year could see medical marijuana finally assert itself in Dixie and on the Northern Plains. 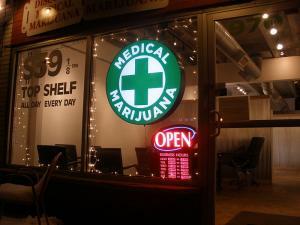 Medical marijuana is amazingly popular nationwide. A June Quinnipiac poll had support at a whopping 89%. That same month, a Prevention Magazine poll had support at 75%, not nearly as stratospheric, but still very impressive. Support won't be as strong in states where it is on the ballot this year, but should still be strong enough to get voter initiatives over the top. There are four states where medical marijuana initiatives are approved for the ballot this year, but before we get to those, there are still a handful of loose ends to mention. In Missouri, an initiative campaign is challenging a signature count that had it fail to qualify for the ballot; in Arkansas, a second medical marijuana initiative, this one a constitutional amendment, is still trying to gather signatures (update: that measure has now qualified for the ballot); in Oklahoma, an initiative has just passed a signature-gathering hurdle but has yet to qualify, and in Montana, an anti-medical marijuana initiative is challenging a signature count that found it coming up short. These are all long-shots at this point, but the efforts aren't definitively dead. Arkansas -- The 2016 Arkansas Medical Cannabis Act. A similar initiative was narrowly defeated in 2012, and Arkansans for Compassionate Care hopes to get over the hump this year. The initiative would allow patients suffering from a long list of qualifying diseases or conditions to use medical marijuana with a doctor's recommendation. Patients could possess up to 2 ½ ounces and could grow five plants and 12 seedlings if they live more than 20 miles from a "care center." 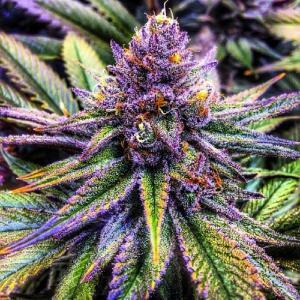 They could also have a designated caregiver grow for them, with a limit of five patients per caregiver. There would be at least 39 non-profit care centers across the state. It's going to be a low-budget campaign. ACC says it has raised $15,000 and has a goal of $80,000. There is no significant organized opposition. Florida -- Amendment 2. Medical marijuana backers organized as United for Care were narrowly defeated in 2014 although they won 58% of the vote. That's because their initiative was a constitutional amendment requiring a 60% majority, and so is this one. It would allow patients suffering from a specified list of qualifying diseases or conditions to use medical marijuana upon a doctor's recommendation. The amount they could possess will be determined by the Department of Health. Patients could not grow their own, but would be able to purchase it at state-regulated "Medical Marijuana Treatment Centers." This is going to be a big bucks campaign in a high-population state, just as it was last time. In 2014, Las Vegas casino billionaire and hard right Daddy Warbucks Sheldon Adelson kicked in more than $5 million to the "no" campaign. This year, he's been quiet so far, but Florida arch-drug warrior Mel Sembler has kicked in $500,000 for the opposition Drug Free Florida, and Publix supermarket heiress Carol Jenkins Barnett gave $800,000 more. United for Care has largely been bankrolled by Florida attorney and Democratic donor John Morgan. It took in more than $3 million last year, spending most of it on signature gathering, and has only raised $555,000 so far this year, although Morgan's deep pockets could come through again in the home stretch. Montana -- Initiative 182. Voters in Big Sky County approved medical marijuana in 2004, but when the scene grew too bustling, the state's conservative legislature struck back with a vengeance. In 2011, Republicans in Helena essentially gutted the medical marijuana system, shutting down dispensaries and limiting caregivers and doctors. The Montana Medical Marijuana Act repeals the limit of three patients for each licensed provider, and allows providers to hire employees to cultivate, dispense, and transport medical marijuana. It also repeals the requirement that physicians who provide certifications for 25 or more patients annually be referred to the board of medical examiners, and it removes the authority of law enforcement to conduct unannounced inspections of medical marijuana facilities, instead requiring annual inspections by the state. Patients could continue to possess up to an ounce of marijuana and four plants and 12 seedlings. The initiative also adds PTSD to the list of qualifying conditions. There doesn't appear to be any recent polling on the initiative's prospects. Montana voters have approved medical marijuana in the past, but the earlier phase of medical marijuana expansion sparked a harsh reaction, and the state remains divided over the issue. After a lengthy court fight, some of the restrictions approved in 2011 will go into effect at the end of this month, and cries of lost patient access may bend public opinion. There doesn't appear to be any significant fundraising or spending by either side in this campaign. North Dakota -- Question 5. Also known as the North Dakota Compassionate Care Act and sponsored by North Dakotans for Compassionate Care, the initiative would allow people suffering from a list of specified medical conditions to use medical marijuana with a doctor's recommendation. The initiative envisions a system of non-profit "compassion centers," which could grow and sell medical marijuana. Patients living more than 40 miles from a compassion center could grow up to 8 plants, but they must notify local law enforcement in writing. The initiative also includes a creepy provision allowing the Health Department to "perform on-site interviews of a qualified patient or primary caregiver to determine eligibility for the program" and to "enter the premises of a qualified patient or primary caregiver during business hours for purposes of interviewing a program applicant," with 24 hours notice. 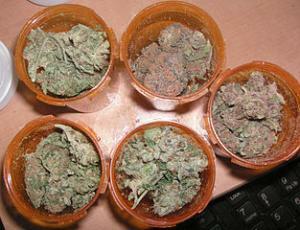 Patients could purchase up to three ounces of marijuana every two weeks. There doesn't appear to be any significant fundraising or spending by either side in this campaign, either. Will medical marijuana go four for four this year? It seems likely, but we're going to have to wait for November 8 to know for sure.